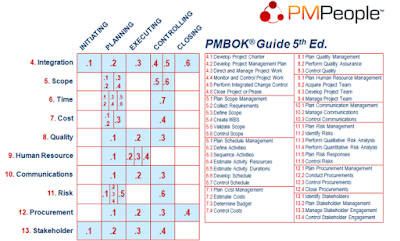 Last month PMI have published the PMBOK Guide Sixth Edition Exposure Draft. If you are a member of PMI, you can visit to review and submit recommendations. Though it is still a draft document, some outstanding changes can be noticed and chances are they are going to stay for sure. 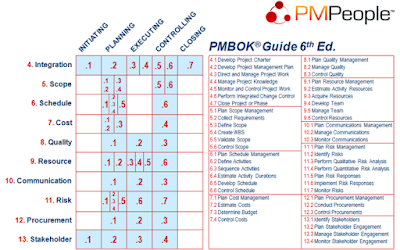 This is not properly a draft of the new PMBOK Guide, what is published is only the section regarding the standard of project management processes. Many experts comment that the new guide is going to include many agile concepts throughout the text and it will be a new annex on agile practices. Some changes seem to be clear on the process set. I'd like tho share some of my findings. This picture represents the list of the 47 processes in fifth edition arranged in knowledge areas (rows) and process groups (columns). Below you can see the same representation for the sixth edition (in review). 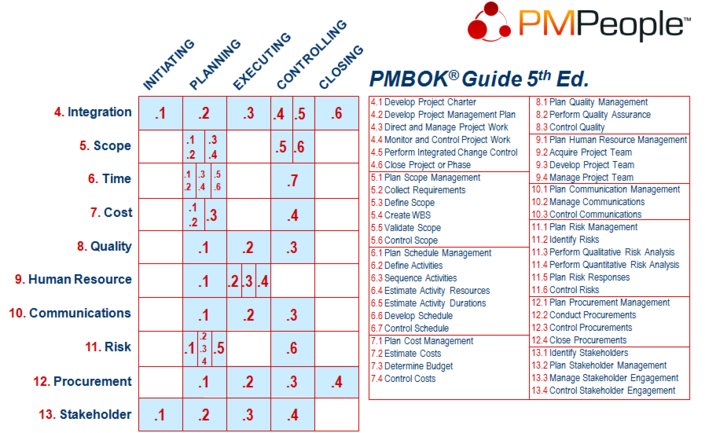 Two knowledge areas are renamed: Project Schedule Management instead of Project Time Management. Project Resource Management *instead of *Project Human Resource Management. Resource management include not just human resources but also material resources. Increased the number of processes from 47 to 49: +1 integration, -1 schedule, +2 resource, +1 risk, -1 procurement. 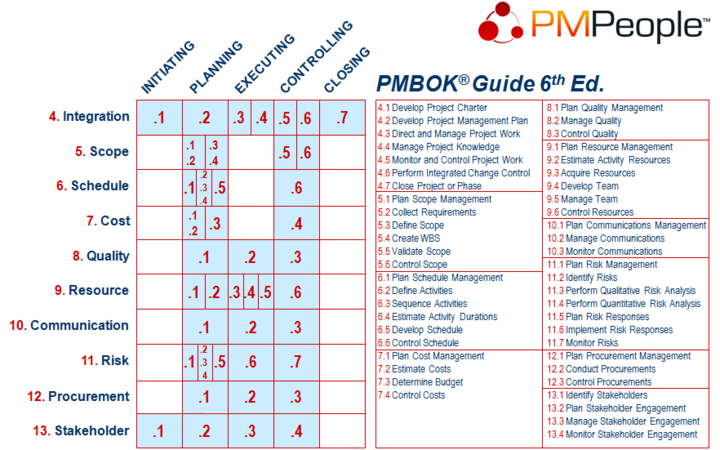 There are two new processes in execution group: Manage Project Knowledge (integration) and Implement Risk Responses. Removed the process Close Procurements: it has been merged with control Procurements. Many inputs have been simplified under the name "project documents".